In this interview with Peter Epstein of Epstein Research, Skyharbour Resources' CEO Jordan Trimble outlines his uranium company's projects and prospects. Peter Epstein: You have six properties in the eastern part of the Athabasca Basin. Tell us about your most important project. Jordan Trimble: Skyharbour Resources is a preeminent uranium exploration company with projects in the prolific Athabasca Basin of Saskatchewan, Canada, ranked the best global mining jurisdiction by the Fraser Institute in 2017. The company has acquired top-tier exploration projects at attractive valuations culminating in six uranium properties totaling approximately 200,000 hectares. In July 2016, Skyharbour secured an option from Denison Mines Corp. (DML:TSX; DNN:NYSE.MKT), a large strategic shareholder and partner of ours, to acquire a 100% Interest in the Moore uranium project. Skyharbour now owns 100% of this flagship project, which hosts the high-grade Maverick Zone, where previous drilling intercepted grades as high as 21% U3O8 over 1.5 meters (1.5m). There's still strong discovery potential at the project in the sandstone and below the unconformity in the underlying basement rock, where little historical drilling has been done (recent discoveries, like the NexGen Energy Ltd. (NXE:TSX; NXE:NYSE.MKT) and Fission Uranium Corp. (FCU:TSX; FCUUF:OTCQX; 2FU:FSE) deposits, are basement-hosted). 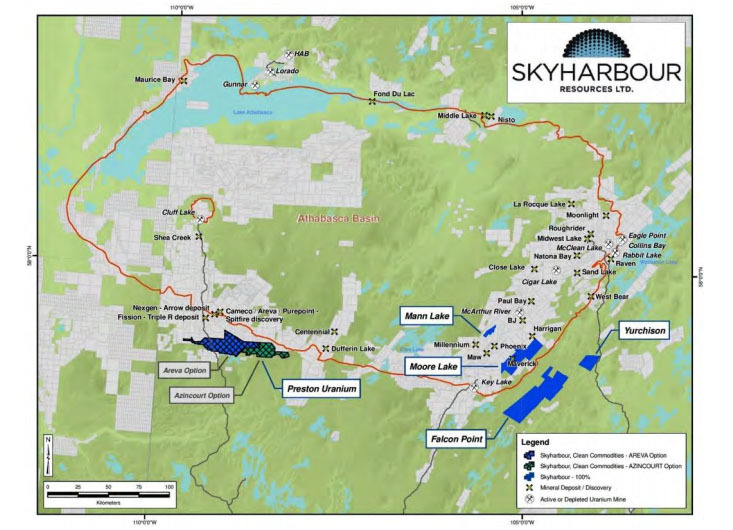 Skyharbour just commenced a 3,000m drill program to further test this, which will provide news flow in the near term. The company is run by a strong management and geological team, who are major shareholders. Peter Epstein: Can you provide some commentary on the uranium market? Jordan Trimble: The uranium market has shown notable signs of recovery, with increasing uranium prices and improving sentiment. 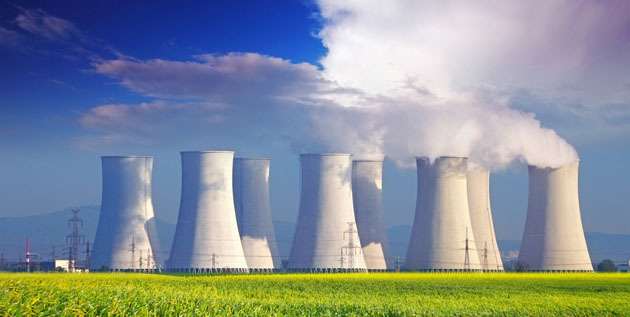 Analysts that cover the sector have stated that this could be a sustained upswing, as they are currently seeing some of the best fundamentals since pre-Fukushima. That should be supportive of higher uranium prices, as a major supply-side response is playing out while the sticky demand-side continues to improve. 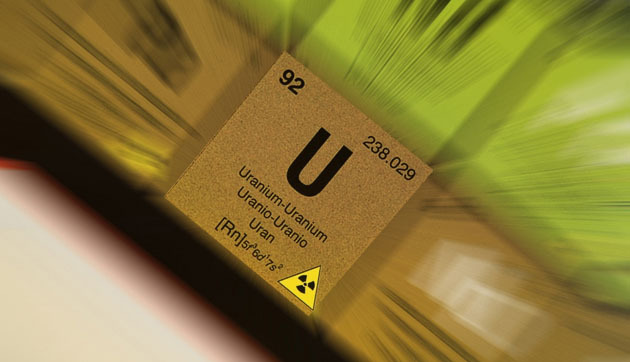 Uranium production is on the decline and expected to be just 135 million pounds (135 Mlb) U3O8 in 2019 given recent closures and project deferrals, while demand continues to rise and is expected to be approximately 194 Mlb. The spot uranium price is just ~$27/lb U3O8, which is still well below the average all-in global cost of production. Significant price appreciation is needed to justify production as well as develop new mines to meet growing global demand. Mine closures and production curtailments continue to dominate headlines, while U.S. lawmakers are starting to take notice of external pressures on what is deemed a strategic industry. Major production cuts and depleting mine reserves appear to be working their way into the uranium market, driving prices higher. The two largest producers, Cameco Corp. (CCO:TSX; CCJ:NYSE) and KazAtomProm, announced large supply cuts in 2017 and 2018, including Cameco's suspension of the world's largest uranium mine, McArthur River, as well as KazAtomProm cutting 20% of its production over a three-year period. Additionally, several new uranium holding companies and funds have emerged, including Yellow Cake PLC, Uranium Trading Corp. and Tribeca Capital Partners, which have collectively raised hundreds of millions of dollars to purchase physical material, effectively taking further spot supply from circulation. Lastly, Cameco recently announced plans to purchase 11-15 Mlb of uranium directly in the spot market through 2019 to fulfill its contracts. On the demand side, there are 450 operating nuclear reactors and ~50 new reactors under construction globally. China continues to be at the forefront and has the largest pipeline, including 45 operating reactors, ~15 under construction and 213 ordered, planned or proposed. According to the World Nuclear Association, at the end of 2018, just 4.2% of China's electricity came from nuclear power. Officials want to triple that number by 2030. The situation in Japan finally seems to be improving, with nine reactors in full operation and several more coming back online this year, up from three in 2016. Peter Epstein: What are Skyharbour's second and third most important projects? Jordan Trimble: While focused on our core strategy as a discovery-driven exploration company at the Moore Project, Skyharbour also employs the prospect generator model to advance its other projects in the basin. The Preston and East Preston properties are important for shareholders, as both are being actively drilled this year by partners Orano Canada Inc. (previously AREVA�France's largest nuclear and uranium mining company) and Azincourt Energy Inc. (AAZ:TSX.V). Combined, the Preston projects comprise a large, 74,965-hectare (185,164 acre) land position, strategically located to the south of, and adjacent to, NexGen's Rook 1 project. It is also proximal to Fission Uranium's Patterson Lake South project. As part of our prospect generation strategy, we optioned 70% of Preston to Orano, which can earn up to 70% by spending up to $8 million ($8M) (up to $7,300,000 of exploration work programs and $700,000 in cash payments) over six years. Orano is carrying out $2.2 million in drilling and exploration this year alone, which will generate additional news flow for Skyharbour. The company also entered into an agreement with Azincourt whereby it has an earn-in option to acquire 70% in the East Preston project. The company has to issue shares and contribute cash, and it has exploration expenditure requirements totaling up to $3.5 million ($1 million in cash payments and $2.5 million in exploration expenditures) over a three-year period. Azincourt just commenced a drill program at East Preston. The company also owns a 100% interest in the Falcon Point Uranium project on the eastern perimeter of the basin, which contains an NI 43-101 Inferred resource totaling 7 Mlb of U3O8 at 0.03%, plus 5.3 Mlb of ThO2 (thorium) at 0.023%. The project also hosts a high-grade surface showing with grab samples of up to 68% U3O8 from a massive pitchblende vein, the source of which has yet to be discovered. Peter Epstein: Can you summarize the significant amount of drilling being done this year on your properties, both internally and by your partners? Jordan Trimble: Skyharbour plans to carry out exploration and drilling programs at our flagship Moore Project over the course of the year. Given the success of the 2017/2018 drilling programs, the company recently commenced a winter diamond drilling program of a minimum of 3,000m. The Moore Project will provide steady news flow over coming months, supplemented by news from partner-funded projects and potential prospect generator transactions. Skyharbour's strategic partner Orano has commenced its 2019 winter diamond drilling program consisting of 11 to 15 holes for a total of about 3,600m on the Preston Project. More recently, Azincourt announced that it has commenced drilling at Skyharbour's East Preston uranium project consisting of 2,000�2,500m. So, among the three drill programs, the company is poised to enjoy news flow from approximately 9,000m of drilling, and we highlight that the bulk of this drilling is partner-funded. Peter Epstein: Uranium is one element where a strong and experienced management team and board is critical. Does Skyharbour make the grade? Jordan Trimble: Yes, we do! Skyharbour is managed by a team with vast experience in capital markets, mineral exploration and discovery, and mine development. Specifically, Skyharbour's technical team is led by Rick Kusmirski, P.Geo, M.Sc., head of our Advisory Board, who has over 40 years of global exploration experience. Rick actively participated in the discovery of a number of uranium, gold and base metal deposits. He was exploration manager for Cameco's exploration projects in the Athabasca Basin. In 1999, Rick joined JNR Resources, becoming VP of Exploration in 2000. Subsequently, he directed the exploration program that led to the discovery of the Maverick Zone on the Moore Lake uranium joint venture with partner Kennecott Canada. 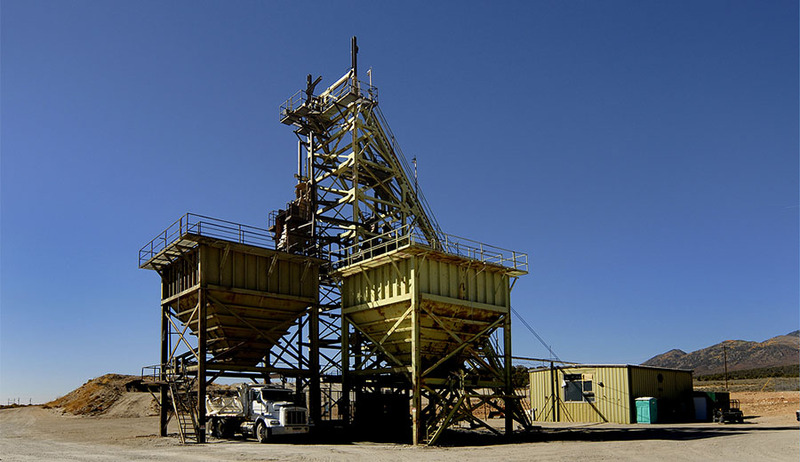 In 2013, Denison Mines acquired JNR in a friendly all-share takeover bid. Our largest shareholder, Denison Mines, is represented by the president and CEO David Cates. He is also president and CEO of Uranium Participation Corp. (U:TSX). Prior to being appointed to those positions, Mr. Cates served as Denison's VP Finance, Tax, and as CFO. Mr. Cates played a key role in merger-and-acquisition activities, leading the acquisitions of Rockgate Capital Corp. and International Enexco Ltd. Prior to that, Mr. Cates held positions at Kinross Gold Corp. (K:TSX; KGC:NYSE) and PwC LLP, with a focus on the resource industry. Paul Matysek is a large shareholder and strategic advisor. He's a mining entrepreneur, professional geochemist and geologist, with over 35 years' experience. He was the founder and CEO of Energy Metals Corp., increasing its market cap from CA$10 million to approximately CA$1.8 billion, when it was acquired by Uranium One Inc. (UUU:TSX) in 2007. Last year, Mr. Matysek, as chairman, successfully sold Lithium X for $265 million to NextView in Hong Kong. He has built and sold several other mining companies over the course of his career. Finally, I have been running the company as the president and CEO since it started as a uranium company in 2013. I have worked in the resource industry with numerous TSX Venture-listed companies, specializing in corporate finance and strategy, shareholder communications, marketing, deal structuring and capital raising. Prior to Skyharbour, I managed corporate development for Bayfield Ventures, a gold company with projects in Ontario, which was acquired by New Gold (NGD:TSX) in 2014. I hold a bachelor of science degree from UBC, and I am a CFA charterholder, currently serving as a director of the CFA Society Vancouver. My chairman, Jim Pettit, brings over 30 years' experience within the industry, specializing in finance, corporate governance, management and compliance. He was previously chairman and CEO of Bayfield Ventures Corp.
Peter Epstein: Can you talk about your largest shareholders? What percentage of the company does management own? Jordan Trimble: Denison Mines is our largest shareholder and a strategic partner. There are several other noteworthy shareholders including Marin Katusa and the KCR Fund, OTP Fund Management, Extract Capital, Sachem Cove Partners, Paul Matysek, Doug Casey and Jeff Phillips. This group, in addition to management and insiders, controls a large portion of the company's outstanding shares. Peter Epstein: Your corporate presentation mentions several high-grade discoveries by peers. What makes your technical team believe there's a reasonable chance of delineating a high-grade resource at the Moore Project? Jordan Trimble: NexGen Energy, Fission Uranium, Alpha Minerals Inc. (AMW:TSX.V), Denison Mines and Hathor Exploration Ltd. are just a few examples of successful uranium discovery stories in the Athabasca Basin. It's worth noting that traditional Athabasca exploration involved rudimentary geophysical targeting and widely spaced vertical drill holes, which led to a high cost of discovery and a low probability of success. However, new exploration techniques and strategies have led to new discoveries through new target types and improved targeting methodologies, leading to lower costs and a higher probability of success. Skyharbour is utilizing these new techniques and is entering overlooked projects, at low cost, with robust discovery potential. Peter Epstein: Does Skyharbour require blockbuster 10%+ uranium grades at Moore to host an economic deposit? If not, what approximate grade might be needed? No, uranium is a valuable commodity, especially compared to traditional metals. For example, 1% U3O8 equals 20.0 grams per ton (20 g/t) gold or 1,404 g/t silver, or 13.7% copper, or 28% zinc. Furthermore, there are new innovative mining methods being proposed for Athabasca Basin deposits that could bring costs down, including SABRE and ISR mining methods. Peter Epstein: If a lot more high-grade uranium were to be found at Moore, is the Maverick zone alone large enough to potentially host an economic deposit? Jordan Trimble: Yes, potentially it is, but this will be determined by further drilling. Peter Epstein: Are you in discussions with potential strategic partners on your other properties? Jordan Trimble: Yes, management is continually assessing new opportunities to add value for our shareholders. At a high level, we have a dual track strategy of 1) discovering more high-grade uranium at Moore, and 2) prospect generation from our portfolio, ex-Moore, as exemplified by the two option agreements with Orano and Azincourt. We would like to find partners at our Falcon Point, Mann Lake and Yurchison properties, which we own 100% of. Peter Epstein: What should readers make of the occasional showings of high-grade cobalt and nickel? Just noise, or potentially more important? Jordan Trimble: This is positive, but the extent of how meaningful the discovery of cobalt and nickel is will be determined with further drilling. It's fair to say it's an interesting development that will certainly be followed up on. Peter Epstein: Why should readers consider buying shares of Skyharbour Resources? Jordan Trimble: When the uranium market turns, it can turn fast, and stock gains can be large. The underlying uranium price can double or more in under a year. This has happened twice in the past 12 years or so. Are we at an inflection point where select uranium stocks are poised for big gains? We might be, and if not this year, I think it's likely in 2020. If one believes, as I do, that the uranium price is headed higher and that nuclear power is here to stay, then Skyharbour Resources is a good bet. With six properties in the best uranium basin on the planet, and partners funding a significant portion of this year's exploration, there's a decent chance of new discoveries and favorable drill hole results. Skyharbour Resources will be very active on multiple fronts this year. The same cannot be said about many other uranium juniors (corporate presentation). Peter Epstein: Thank you, Jordan, for a very good update and review of Skyharbour Resources. I look forward to drill results from you and your partners later this year. Peter Epstein is the founder of Epstein Research. His background is in company and financial analysis. He holds an MBA degree in financial analysis from New York University's Stern School of Business. Disclosures: The content of this interview is for information only. Readers fully understand and agree that nothing contained herein, written by Peter Epstein of Epstein Research [ER], (together, [ER]) about Skyharbour Resources, including but not limited to, commentary, opinions, views, assumptions, reported facts, calculations, etc. is not to be considered implicit or explicit investment advice. Nothing contained herein is a recommendation or solicitation to buy or sell any security. [ER] is not responsible under any circumstances for investment actions taken by the reader. [ER] has never been, and is not currently, a registered or licensed financial advisor or broker/dealer, investment advisor, stockbroker, trader, money manager, compliance or legal officer, and does not perform market making activities. [ER] is not directly employed by any company, group, organization, party or person. The shares of Skyharbour Resources are highly speculative, not suitable for all investors. Readers understand and agree that investments in small cap stocks can result in a 100% loss of invested funds. It is assumed and agreed upon by readers that they will consult with their own licensed or registered financial advisors before making any investment decisions. At the time this interview was posted, Peter Epstein owned no shares in Skyharbour Resources, and it was an advertiser on [ER]. Readers understand and agree that they must conduct their own due diligence above and beyond reading this article. While the author believes he's diligent in screening out companies that, for any reasons whatsoever, are unattractive investment opportunities, he cannot guarantee that his efforts will (or have been) successful. [ER] is not responsible for any perceived, or actual, errors including, but not limited to, commentary, opinions, views, assumptions, reported facts & financial calculations, or for the completeness of this article or future content. [ER] is not expected or required to subsequently follow or cover events & news, or write about any particular company or topic. [ER] is not an expert in any company, industry sector or investment topic. 1) Peter Epstein's disclosures are listed above. 2) The following companies mentioned in the article are billboard sponsors of Streetwise Reports: Skyharbour Resources. Click here for important disclosures about sponsor fees. The information provided above is for informational purposes only and is not a recommendation to buy or sell any security. 3) Statements and opinions expressed are the opinions of the author and not of Streetwise Reports or its officers. The author is wholly responsible for the validity of the statements. The author was not paid by Streetwise Reports for this article. Streetwise Reports was not paid by the author to publish or syndicate this article. Streetwise Reports requires contributing authors to disclose any shareholdings in, or economic relationships with, companies that they write about. Streetwise Reports relies upon the authors to accurately provide this information and Streetwise Reports has no means of verifying its accuracy. 5) From time to time, Streetwise Reports LLC and its directors, officers, employees or members of their families, as well as persons interviewed for articles and interviews on the site, may have a long or short position in securities mentioned. Directors, officers, employees or members of their immediate families are prohibited from making purchases and/or sales of those securities in the open market or otherwise from the time of the interview or the decision to write an article until three business days after the publication of the interview or article. The foregoing prohibition does not apply to articles that in substance only restate previously published company releases. As of the date of this article, officers and/or employees of Streetwise Reports LLC (including members of their household) own securities of Skyharbour Resources, a company mentioned in this article. 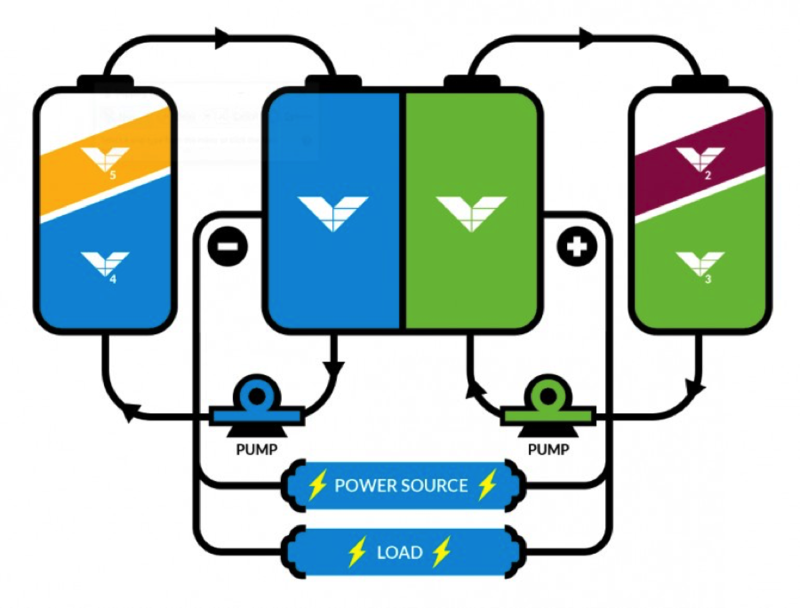 Michael Mulberry, CEO of American Battery Metals, speaks with Peter Epstein of Epstein Research about his company's flagship vanadium project in Utah. Ross McElroy of Fission 3.0 sits down with Proven and Probable's Maurice Jackson to discuss the state of the uranium market and his company's myriad projects in Canada's prolific Athabasca Basin. One of the company's major new initiatives related to vanadium, thanks to stronger prices. 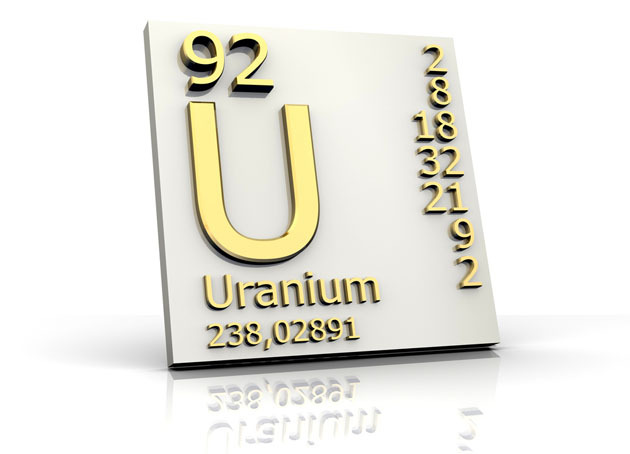 Peter Epstein of Epstein Research profiles a uranium explorer that just released a PEA. The company's first 2019 program will further explore the uranium mineralization discovered last year. A ROTH Capital Partners report provided an update on this Texas-based energy company's ongoing project work. Skyharbour Resources: In the Right Place at the Right Time? Sector expert Peter Epstein describes how the confluence of changing conditions in the uranium market and promising company assets could make this player in the Athabasca Basin an attractive investment opportunity. 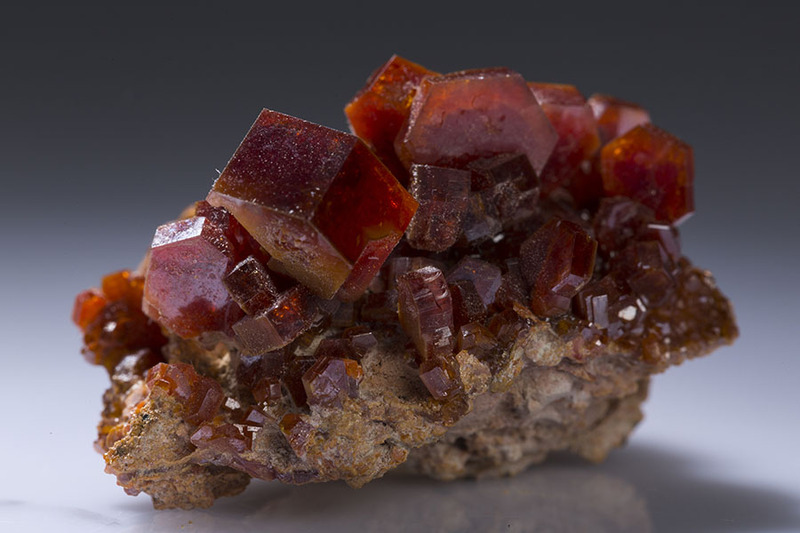 Sector expert Ron Struthers takes a long look at the prospects for the vanadium market and at one company with a property on a past-producing trend. This explorer finds new uranium at its flagship project, while an option partner plans a $2.2 million exploration program. This miner discussed 2019 plans for its vanadium and uranium projects. 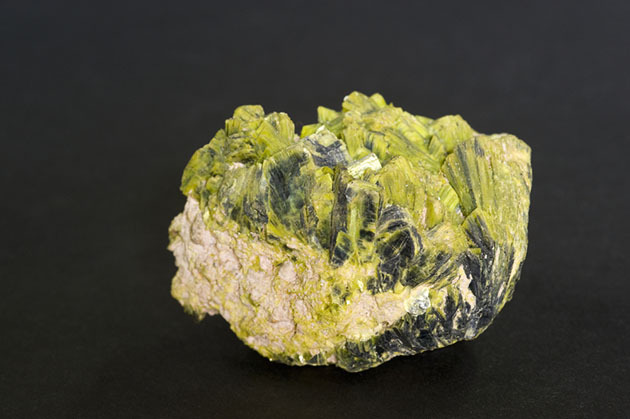 Want to read more about Uranium? Sign up to receive the FREE Streetwise Reports' newsletter. Want to read more about Uranium investment ideas?